Niagara Falls surprised me. I expected a run-down tourist trap like the Wisconsin Dells. 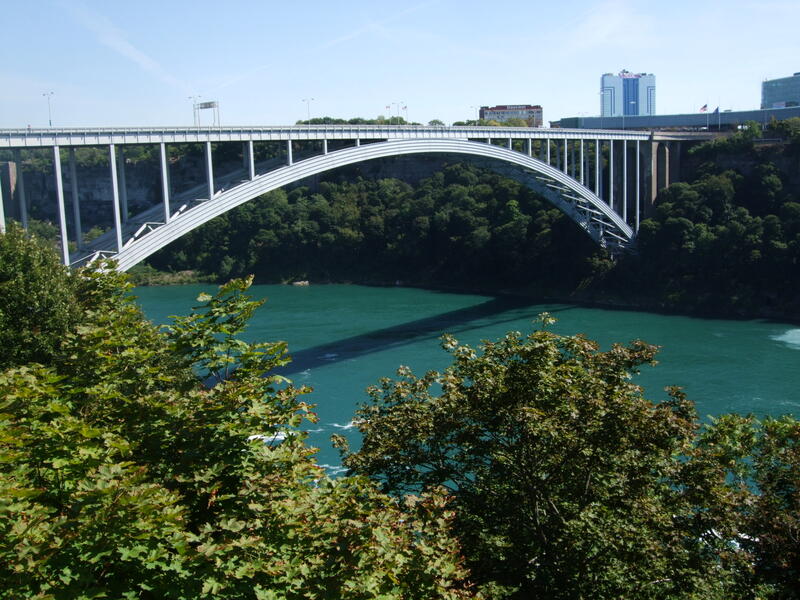 We flew into Buffalo NY and drove across the Niagara River to the Canadian side. The area was certainly a tourist trap, but up-scale, interesting, and very expensive. The dollar is worth less in Canada, and near The Falls Starbucks charges $1.80 extra for their carmel latte foo-foo things. Cheeseburgers cost $16. We parked on the street for $5 per hour and paid willingly. Gorgeous flowers bloomed everywhere: formal gardens, huge hanging baskets on every light pole, in parks, homes, restaurants. The climate must be perfect for flowers. Park land paralleled the river above and below the Falls. People from every nation roamed the streets, picnicked, and photographed the Falls. A perfect summer day. 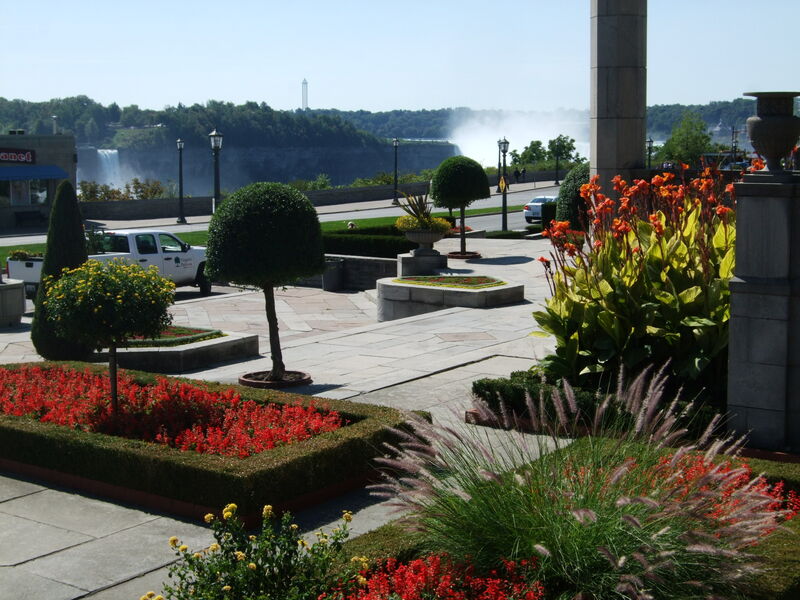 I first saw the mist rising from Niagara Falls outside the Secret Garden Restaurant. The river scene seemed peaceful, not the thundering, roaring waterfall of legend. The magnitude increased as we walked toward the point where the river’s flow crashed over the escarpment. The energy and power at that point mesmerized every human hanging over the stone wall. 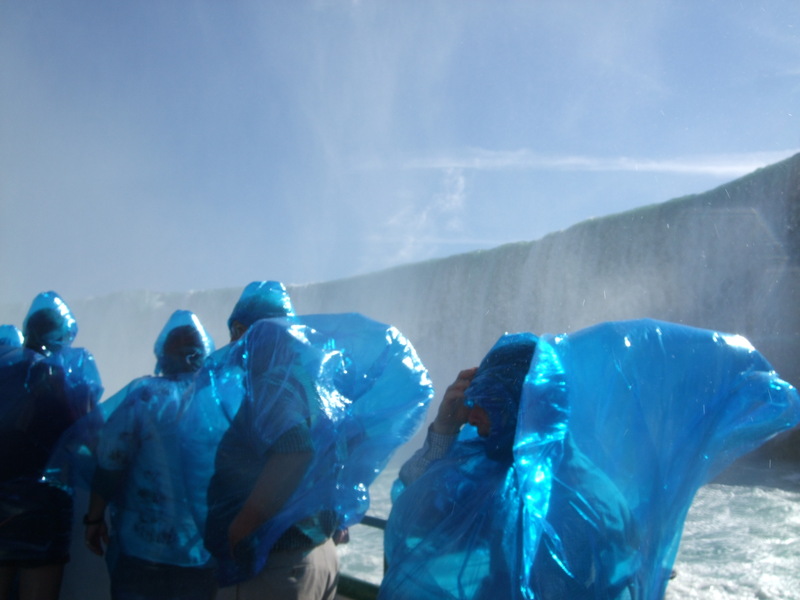 The Maid of the Mist is the must-do tourist enticement, so we trekked down to the river’s edge, donned our blue plastic baggies, and boarded the boat. The view of the gorge below the Falls is worth the $30 each. The graceful span of the international Rainbow Bridge, seen from below, gave an impressive and beautiful juxtaposition to the chaos of Niagara Falls. The tour operator told a forty-year-old story of a seven-year old boy who fell into the river and was swept over the falls. The boy wore only a bathing suit and a simple life jacket. He bobbed to the surface down river and was rescued by a Maid of the Mist captain near the American Falls. His was the only story of survival––other than a few daredevils in padded barrels. I loved the rainbows that formed in the mist thrown into the air by cascading water. They are a constant over Rainbow Falls, on the American side, which would be a spectacular waterfall if its big brother wasn’t nearby. Maid of the Mist is a good sized boat, but it seemed to shrink as we neared The Falls. The boat nosed into a cloud and bucked and rolled in the churning water.The mist turned into a driving rain.The force of the waterfall created winds that tore at our flimsy plastic protection. We gripped the railings, clutched at our billowing blue baggies, and laughed. The experience drenched and energized us. Do not skip the Maid of the Mist tour. Niagara Falls can be viewed from the road above, but at river-level the majestic power is in your face. 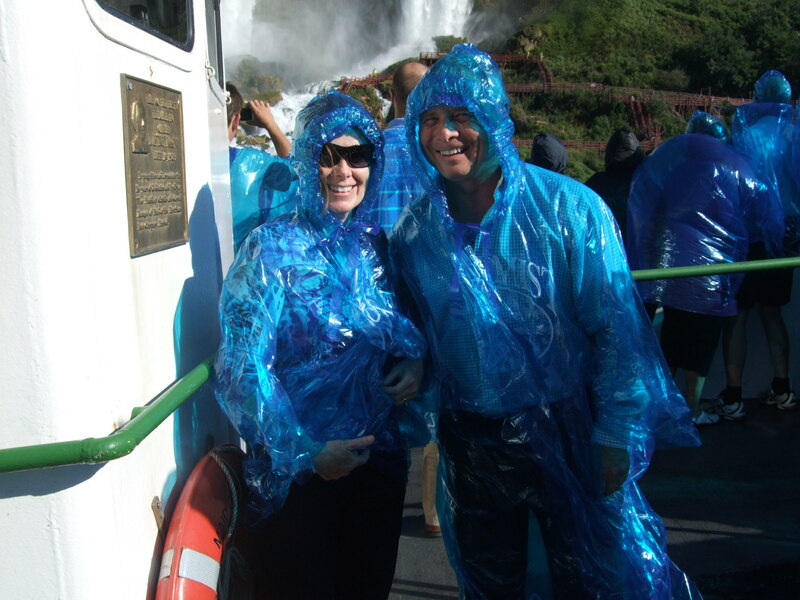 I do agree with you jeannemeeks, Maid of the Mist boat ride is really one of the must things to in Niagara falls, We visited last year and it was amazing experience for us. If anyone is going to Niagara and wants travel tips, contact me.